Durable commercial high stools with a wood finish seat and durable metal frame in a choice of three finishes. Manufactured to a high standard and available on a 20 day lead time. 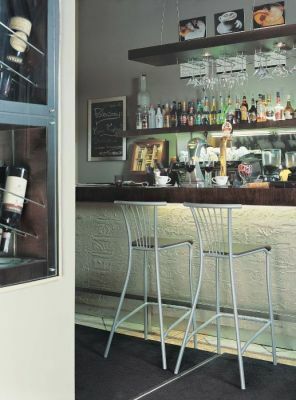 The Baleno bar stools is a contemporary style commercial bar stools with a durable steel frame in silver, chrome. Uniquely curved legs give these bar stools an exclusive appeal in a wide range of commercial environments. 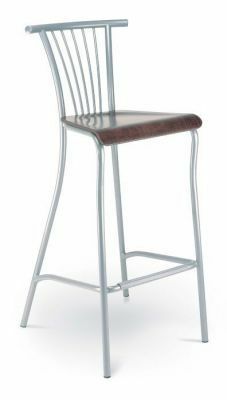 Manufactured in Europe to order Dolly bar stools are available on a lead time of 4-5 weeks from order. There is also a matching bistro chair and café table associated with this range These bar stools arrived assembled and ready for use. Please contact our sales office for further information on this exciting range of bar stools.